Soon I will celebrate the 24th anniversary of my 10th birthday. I know that is a strange way to say that yes, I am almost 34. But any military-brat can tell you the importance of that 10th birthday. Turning 10 meant independence, empowerment, growing-up; it was a big deal! It was the day I could get my Military ID Card! It was a yellow card with a hole and a chain that I could hang around my neck. It had an awkward picture of a pre-teen with a curly perm and loads of freckles. It said that I, yes I, had Exchange, MWR, and Commissary privileges. It wasn't a driver's license - but it was the next best thing. At the time we lived on Scott Air Force Base and the BX, Shoppette and Commissary were less then a mile up the road. With this ID Card I could hop on my bike and with my brothers trailing behind we could run quick errands for my mom. Mom might give me a couple of bucks and I could put a gallon of milk bought at the shoppette in my bike's basket; of course I couldn't bypass the candy-cigarettes or a pack of garbage-pail kids as my 'taxi toll'. When the cashier would ask to see my ID I would happily pull it out with a sparkle in my eye; as if I was 21 and could finally buy myself a drink. I remember vividly my first outing on my own, with no parents, just my 8 year-old brother. We got on our bikes and peddled our way to the BX. I had saved up my allowance and it was now burning a hole in my pocket. 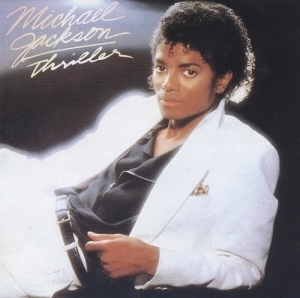 I knew just what I wanted: Michael Jackson's Album, "Thriller." Quite apropos, wouldn't you say? I was so excited to finally buy this record (yes, record). My brother and I grabbed the record and then stood in-line. I put it down to pay and the cashier rang it up. I was about 25cents short! Ack, is this what growing up meant? No, Dad or Mom to bail me out? Did I have to tell the cashier that I didn't have enough money and would come back another day? It was clear the cashier wasn't going to budge & we would have to pay full price. Thank goodness though, I didn't have to grow-up right then. A very nice lady behind us (perhaps a mom, too) paid my short-fall. Her face has always stuck with me and her kind act of helping us out. So we saddled up to our bikes after leaving the BX: "Thriller" in my bike basket and thrilled to be 10! A military-brat has a lot of obstacles to overcome; constant moves; long separations from a mom or dad; not living close to grandparents, aunts, uncles & cousins. As we approach "Month of the Military Child" let's be sure to recognize and lift up the "brats" around us. Do you have memories of turning 10 as a military-brat? We would love to hear them. This would be a great opportunity to share with all of our readers some of the fun aspects of being a 'Brat'. I remember the chains they came with for us to put the ID card around our necks so we wouldn't lose them.